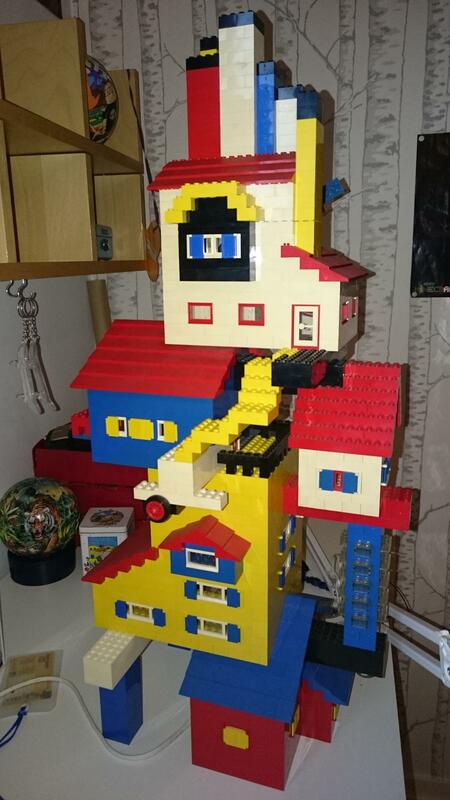 I recently inherited two old lego-buildings. Unfortunately I have virtually no information about the history of them other that they been part of the inventory of an old hardware store closed a decade ago. By the look of them I would guess they are from the early 70th. 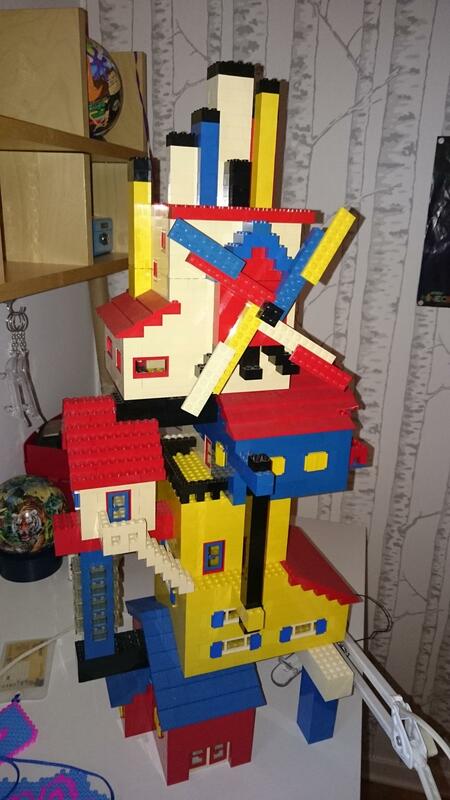 The windmill-house has some of the old red, blue and yellow technic gears in them and a custom motor (not a lego part) to make it spin forever. Everything is glued together but there is apparently parts broken off in some places. Are they custom built in the old hardware store without blueprints? Are they part of some Lego advertising campaign? Are they actual lego sets with a number to reference them? Someone knows or thinks anything about them? Would they be worth some money? I noticed that I missed the top of the windmill house, so here is two more photos where the top is there. To answer your three bullet points: Very likely. Possibly. Highly unlikely. Sad that they are glued, but they are still pretty cool. You might get some money for them if you find a buyer. Regardless, thanks for posting the pictures, I love the techniques for the big grey roof. The top picture is for sure a model created from single elements, and is not any Lego model. Your lower model looks like a combination from 5 or 6 different houses. I recognize the Taxi station (Red with blue roof on the bottom), Bakery (Yellow and blue roof on top of that). 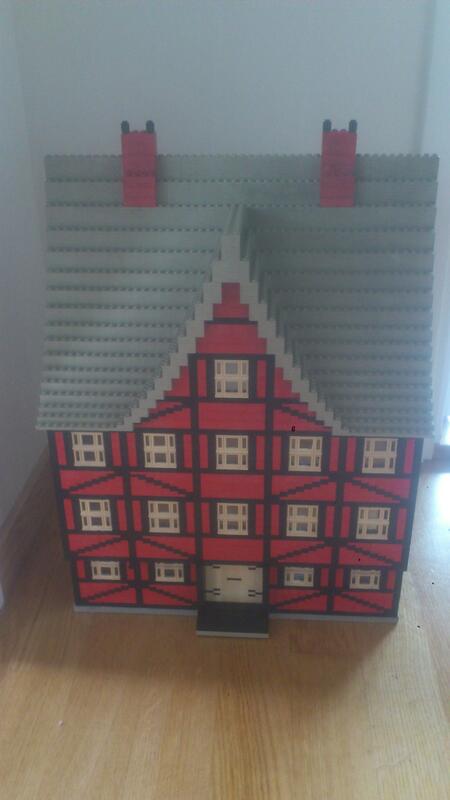 Try brickset.com and look for the older catalogues. What LEGO set are these bags from? 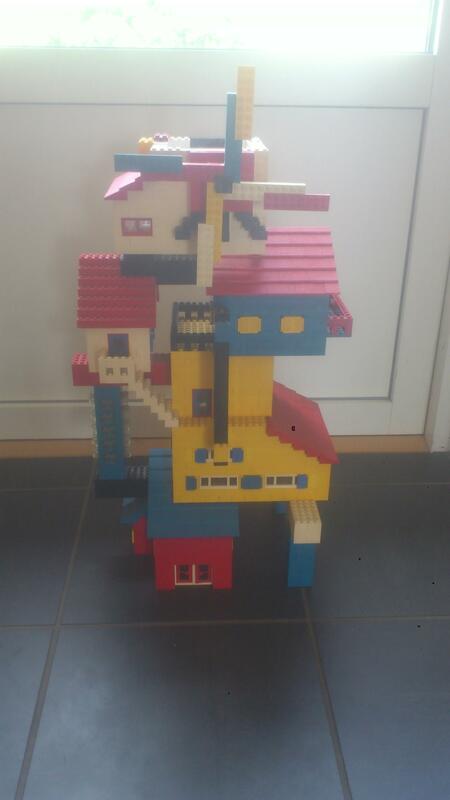 Can anyone tell me what these LEGO sets are? What set are these parts from?